According to the SS this is the hardest hole on the course. 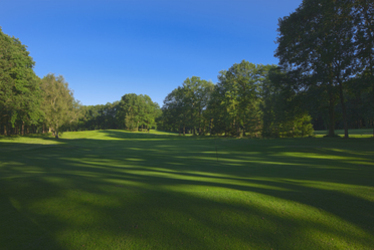 A long par 4 which dog legs to the right, requiring a long straight drive into the left half of the fairway as the ball can kick right, and be blocked off by trees. A long second shot to a small green defended by bunkers left and right.